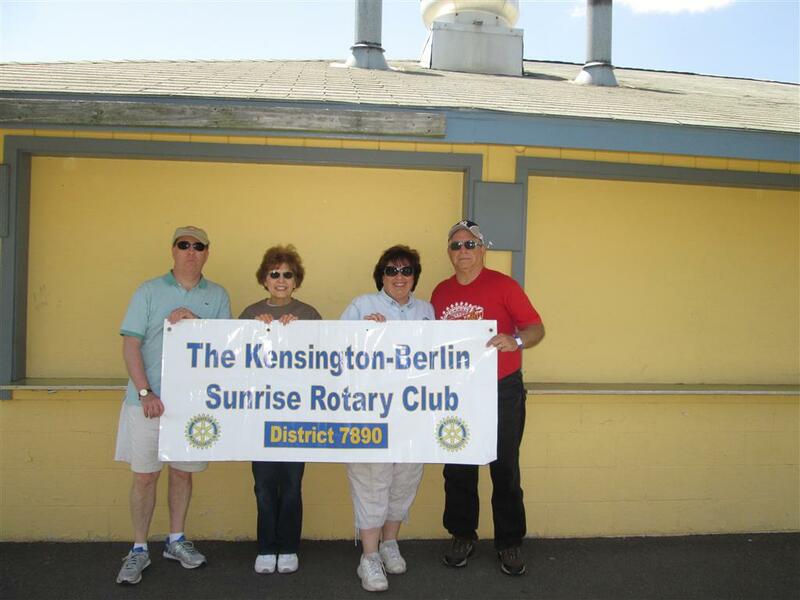 The Kensington Berlin Rotary club will make their inaugural appearance at the Berlin Memorial Day Parade on Saturday, May 26. 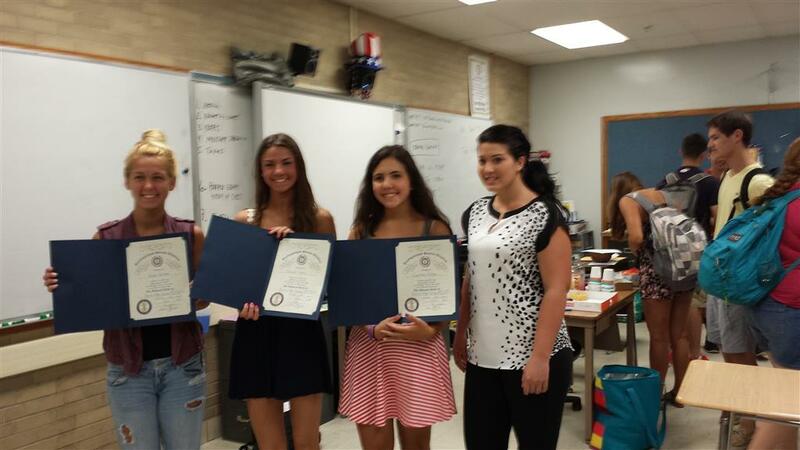 Joining with them will be Cami, their exchange student from Chile and members of the Berlin High School Interact club. The parade starts at 9am and will march down Farmington Ave and end at Veteran's Park next to Stop & Shop on Farmington Ave. Following the parade their will be a memorial service to honor those men and women who have given their lives for their country. 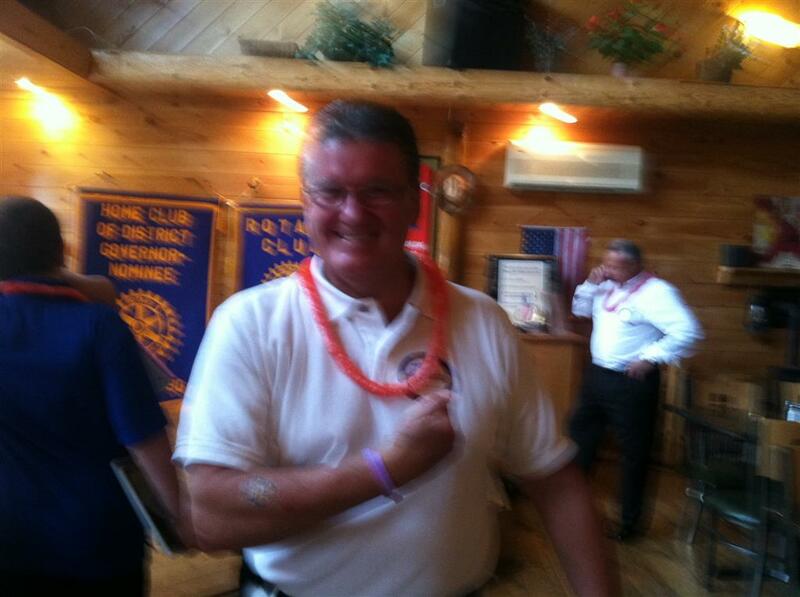 Jeff Dolley will make a visit to the Kensington-Berlin Rotary Club on May 20 at 8am. 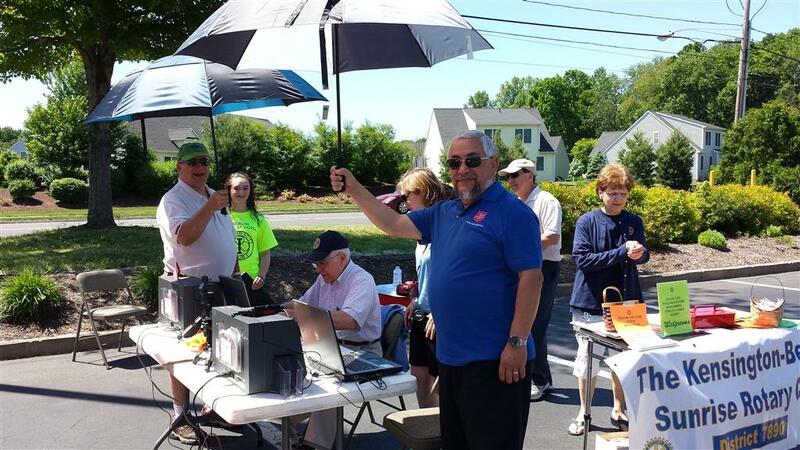 Jeff is the broadcaster for the New Britain Rock Cats and will be promorting the Rotary End Polio Now Night on June 13 at the Rock Cats. The famous Rotary Belgium waffles will be served and the public is invited to attend. .
Our Wonderful President Gwen Recuperating Nicely! 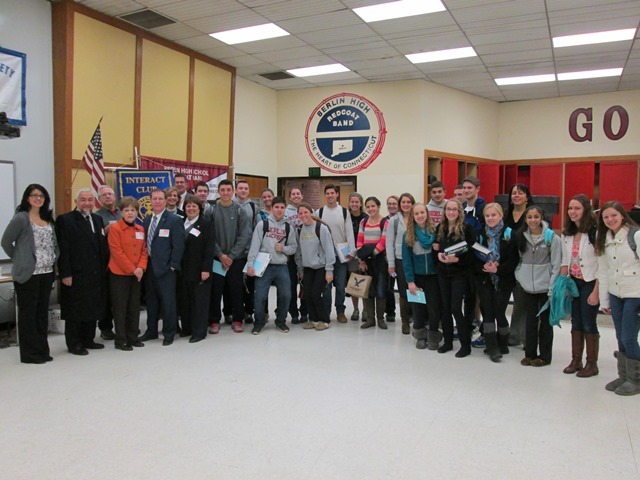 Kensington-Berlin Rotary & Berlin High Interact join forces with Salvation Army! 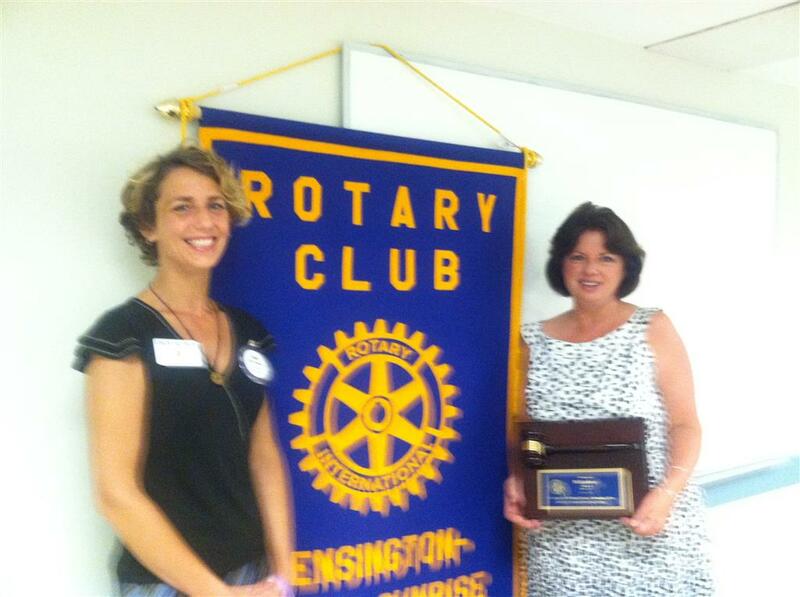 President Gwen Valencis presents Pat Ksiazkowski with her Past President Plaque and Honorary Member certificate. Thank you, Pat! 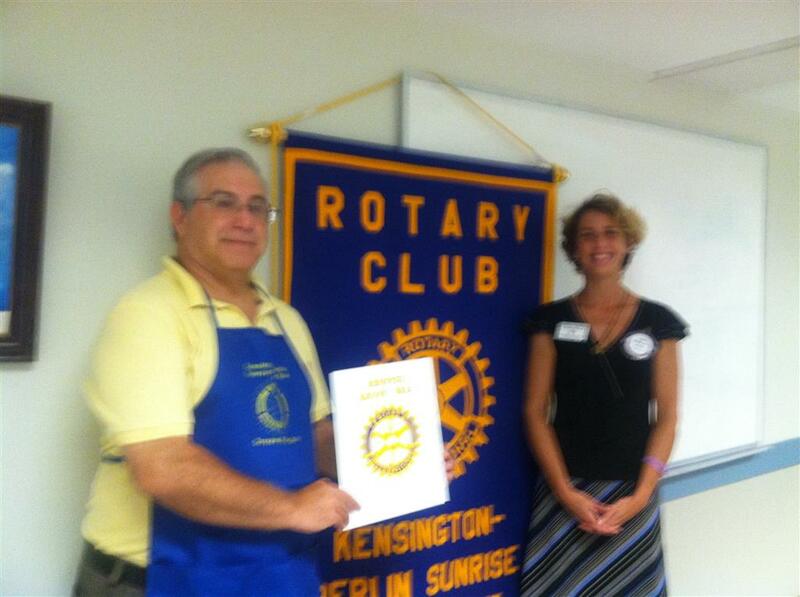 Lou Zucchi joins Kensington-Berlin Sunrise Rotary Club! 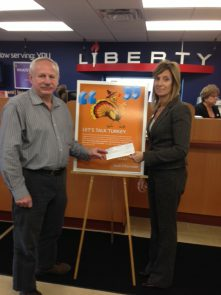 Gwen Valencis is proud to announce thar Lou Zuchhi is the newest member to join the Kensington-Berlin Sunrise Club. Lou is an Enviromental Consultant for XPOR Life Sciences and a Professioanl Wedding Photographer. Lou lives in Berlin with his wife Juliette and looks forward to making new friends and helping in the community. Lou has jumped right in and will be working at the Rock Cats concession stand on August 30 with other members of the club. Welcome, Lou! Swing for Shelby! 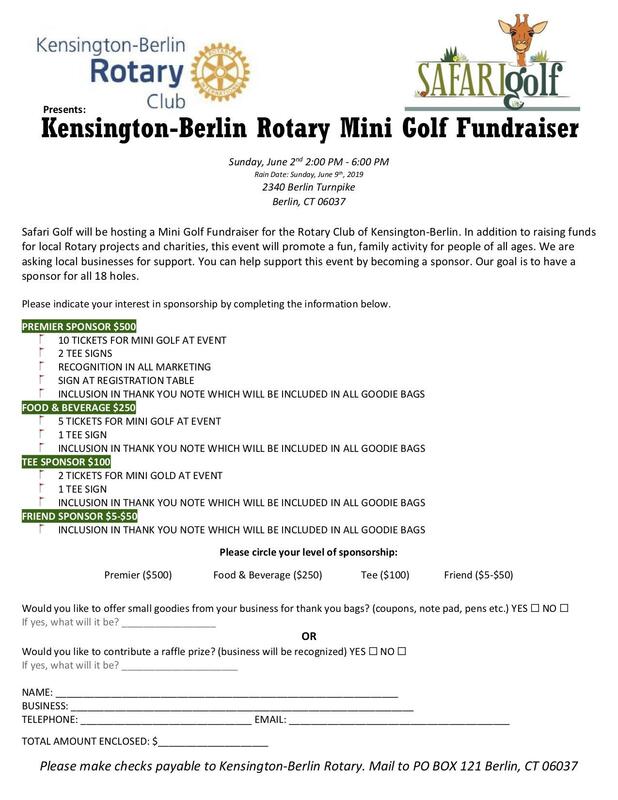 Kensington-Berlin Rotary Golf Tournament a Huge Success! 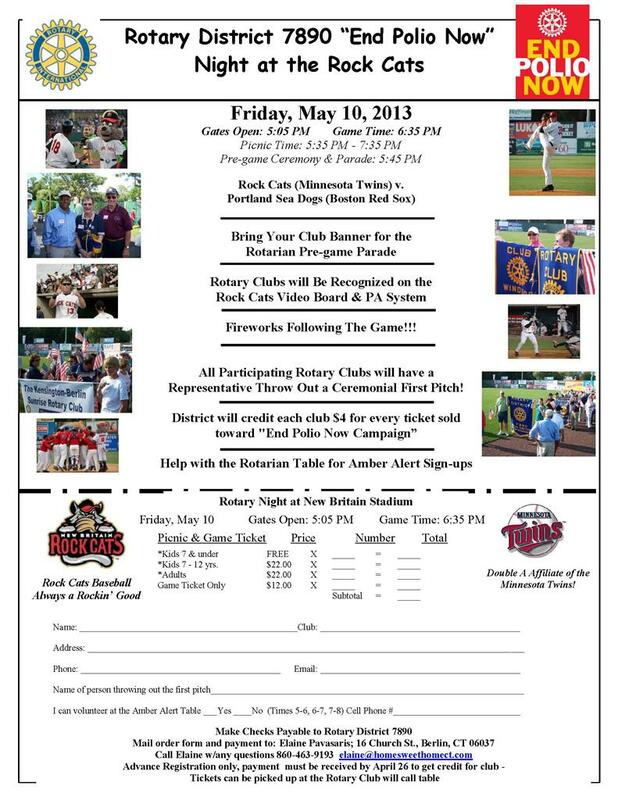 Please join your fellow Rotarians from District 7890 as we gather together on May 10 to celebrate End Polio Now Night with the New Britain Rock Cats. DG Eileen Rau is encourging every club to bring their club banner and participate in the pre game parade. In addition, polio survivors will be honored at the game. Each club will have a representative to throw out the first pitch. There are two ticket choices: $12 for a Field Box Ticket or $22 for a Field Box ticket and All You Can Eat Picnic Buffet. 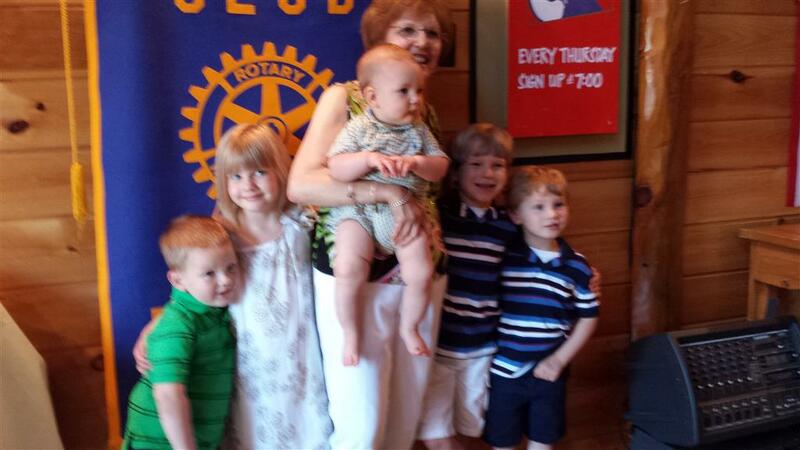 Each club will receive a $4 credit toward Polio Plus. Advance ticket registration deadline is April 26. We are now accepting applications for two $1,000 scholarships to be awarded to two graduating Berlin High School students who will be attending an accredited 2 or 4 year college, university, or vocational school in the fall. Applicants must show good academic achievement and service to the community. For additional information and an application see the link to the right. Michele Tine and Elaine Pavasaris visited Miss Kozyrski's third grade class at St Paul School in Kensington on February 4, 2013. The Rotarians led the class in the Pledge of Allegiance, discussed the Rotary motto of Service Above Self and then presented the hardbound Scholastic dictionaries to each student. The students then wrote their name inside the dictionary and were encouraged to share the "Gift of Words" with their parents. Third grader Rielly Pavasaris, exclaimed "This is the best dictionary ever"! 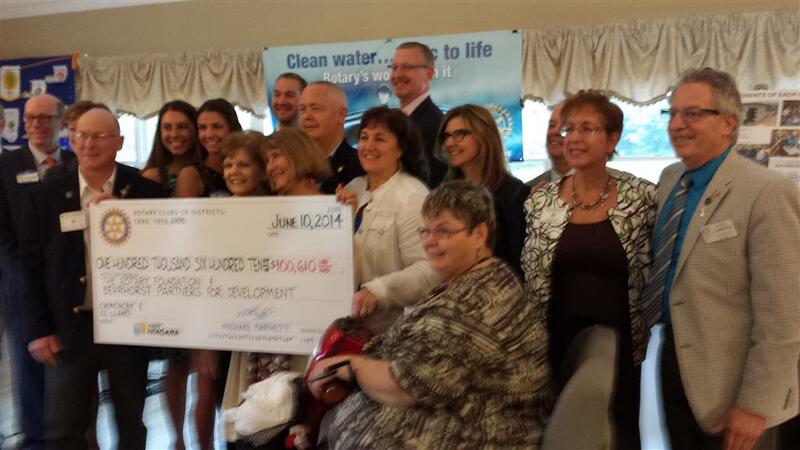 Thanks Rotary! 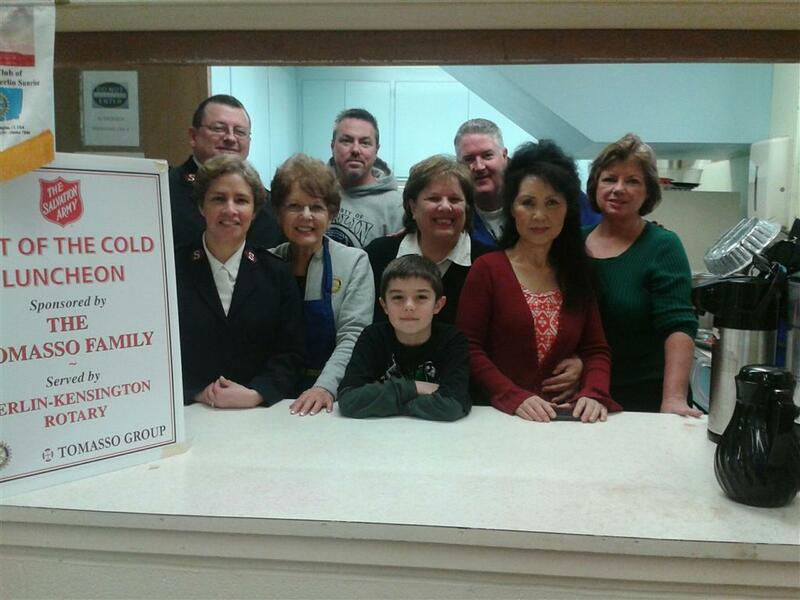 This afternoon we served over 40 people at the Out-of-the-Cold Luncheon at the New Britain Salvation Army. Our guests were so appreciative of the good food and fellowship and especially the warm clothing we stocked in "The Store." We thank you to future new member Charlie for making chicken vegetable soup and helping out again today! 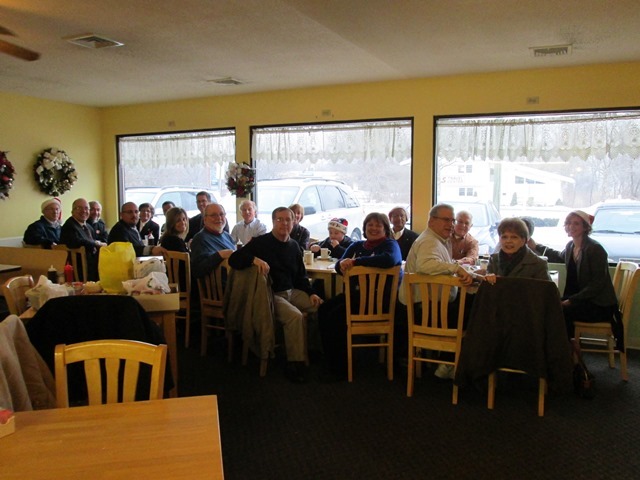 Thank you to Tomasso Family for sponsoring luncheon. Belgium Waffles a Huge Hit! New member Gwen Valencis showed off her culinary skills by serving the Rotarians home made Belgium Waffles. The Belgium waffles which were served with fresh strawberries and whipped cream were enjoyed by all. Members were very appreciative of Gwen's efforts and encourgared her to try another breakfast delight. 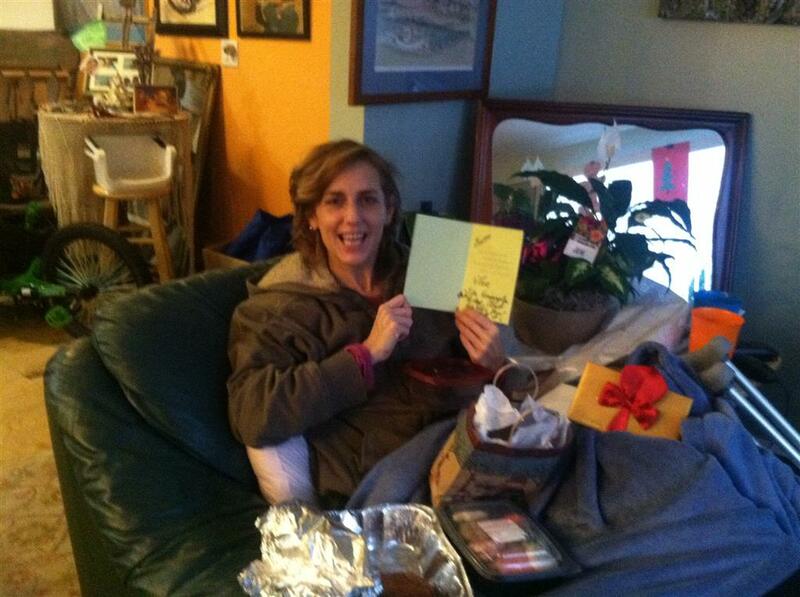 Thank you, Gwen! We are so happy to have you in our club! Interact Club Starting at Berlin High!!! Ms Lisa Hatton, Faculty Advisor for Interact, enthusiatically welcomed 18 students to an information session on Thursday April 5 at 7am. 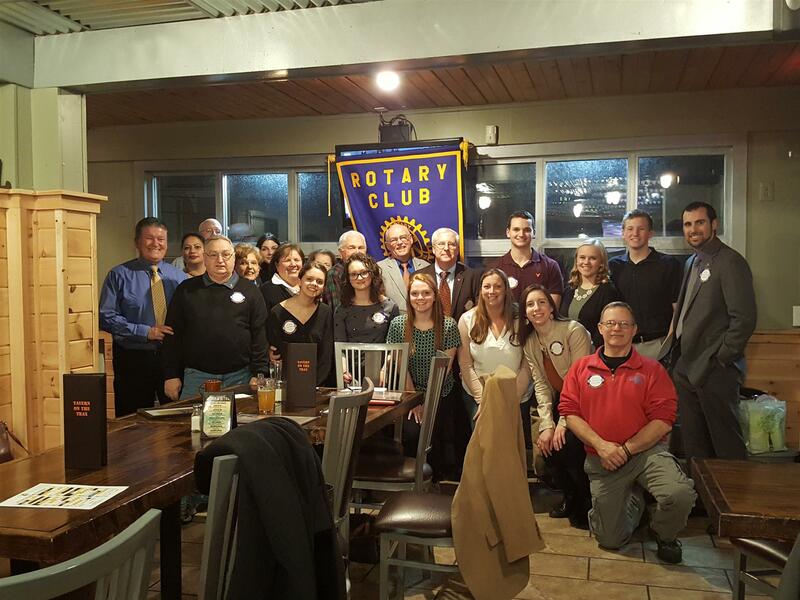 She gave a brief power point presentation on Interact and introduced Dr. Michelle Imossi from the New Britain- Berlin Rotary Club and Elaine Pavasaris from the Kensington-Berlin Sunrise Rotary Club. 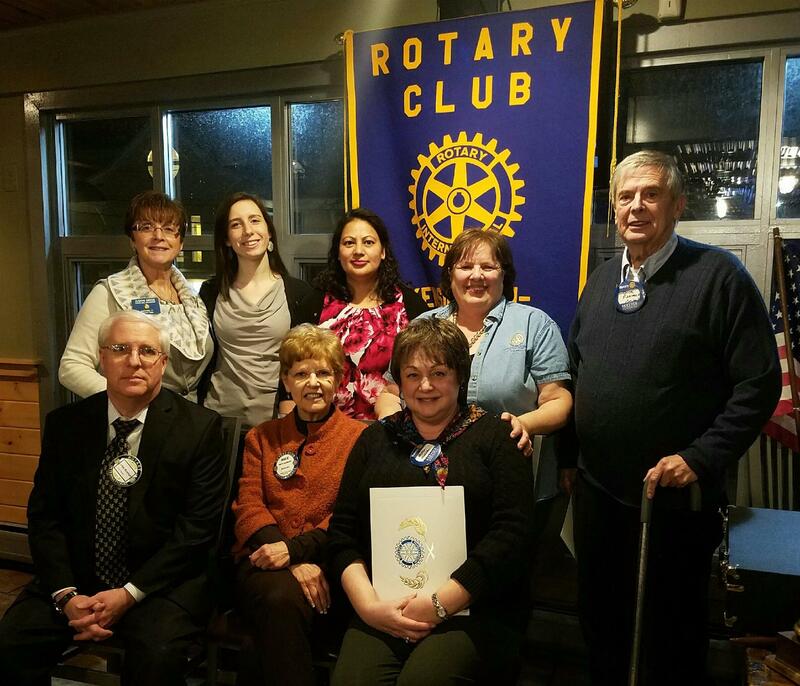 Michelle and Elaine will be the Rotarian advisors to the new club. 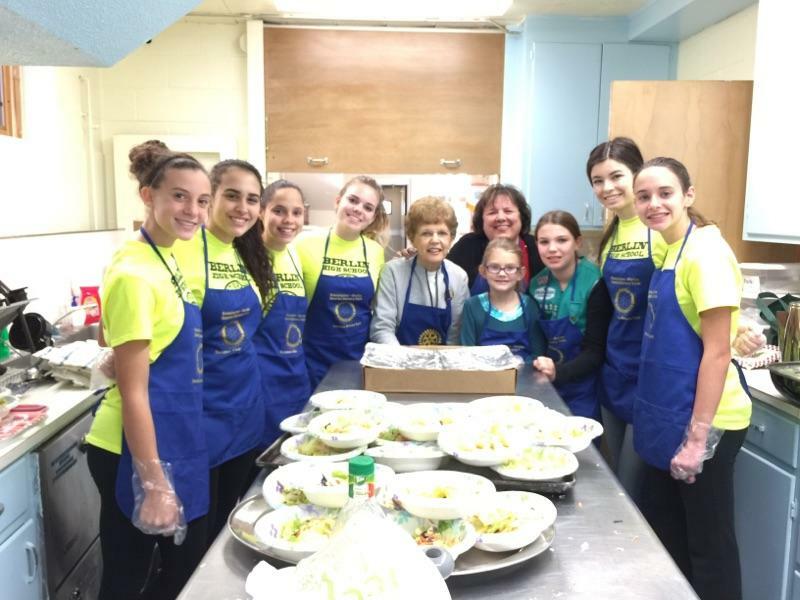 Morgan Imossi and Gabriella St. Jarre shared their personal experience from attending the District Interact Conference and RYLA (Rotary Youth Leadership Award). Students completed a survey of their interests and will be voting on officers at the next meeting. The club will meet once a week until the end of the year. Welcome Ms Hatton and Berlin High students to the Rotary Family!